When a factory begins polluting a village's water supply, three locals attempt to persuade their government minister to close the facility. 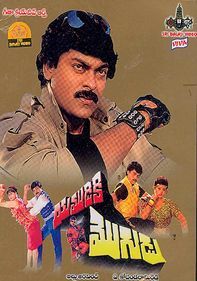 But after villager Yedu (Ravi Teja) clashes with the corrupt minister, he endeavors to shut down the factory on his own. With the help of journalist Swapna (Reema Sen), who's deeply in love with him, the determined Yedu dodges the minister's deadly henchmen and tries to save his village from ruin.